Hey I ate pizza with you! 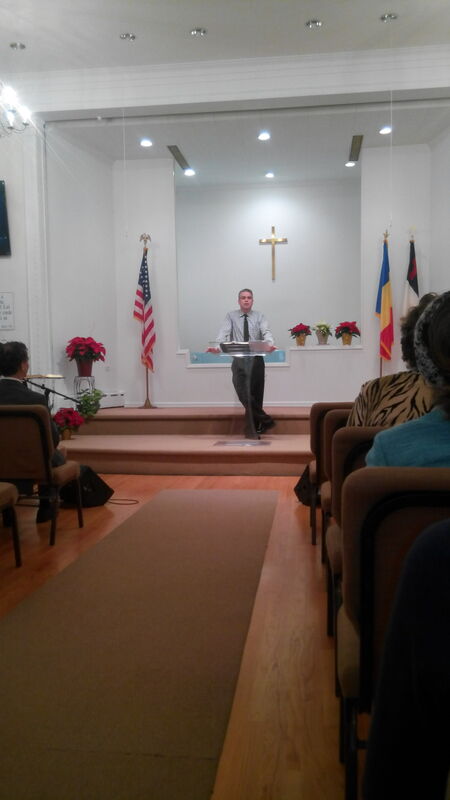 Last Sunday I had the opportunity to speak at a Romanian Baptist Church in Brooklyn NY. While I was greeting some of the people a man looked at me and said, “Hey I know you I ate pizza with you one time.” The man did live in Constanta and I must have eating pizza with him years ago. I also met the uncle and aunt of Adi who is married to Felicia one of our daughters. What a small world! It was a great blessing to sing, speak and eat in Romanian! We enjoyed our time and are thankful for the opportunity to minister to Romanians no matter where.